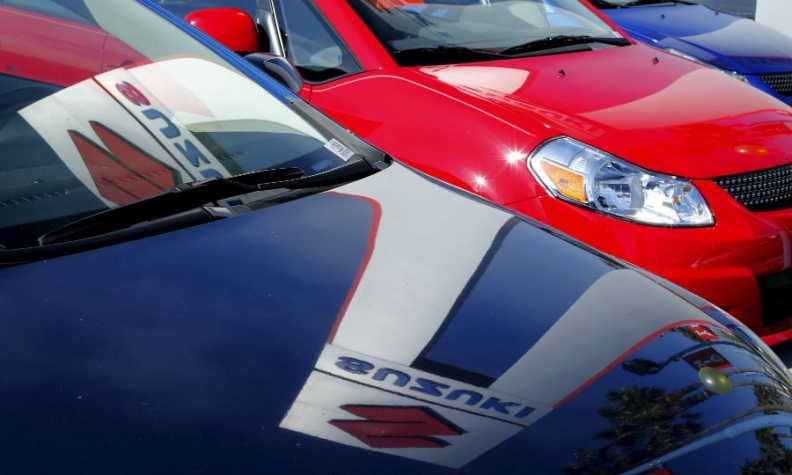 TOKYO -- Suzuki Motor blamed a lack of resources for failing to use correct tests in Japan to calculate vehicle mileage, and reiterated its employees did not intend to manipulate fuel economy data for better readings. The company also said its domestic minivehicle sales slumped 18 percent in May from the previous year, likely due to the testing issue which affected 2.14 million vehicles, slightly more than the previously stated 2.1 million. Japanese automakers have been under increased scrutiny for how they calculate mileage after Mitsubishi Motor Corp. said it had misrepresented fuel economy readings. That led to a takeover of the company by Nissan Motor Co. and the resignation of its president earlier this month. Suzuki, Japan's No. 4 automaker by sales, said it lacked the resources after the 2008 global financial crisis to perform tests required under Japanese regulations to calculate mileage. It also cited increased pressure to develop models and engines in the late 2000s. After submitting additional data on its noncompliance to Japan's transport ministry today, Suzuki said incorrect fuel tests involved 14 of its branded models, rather than the 16 it initially reported, while 12 models sold under other brands were also affected, up from 11. Earlier this month, Suzuki said it had used the wrong tests to calculate mileage for models going back to 2010, submitting figures compiled from indoor tests performed on individual parts, rather than vehicle coasting tests. The company said its test procedures were "lax" and that it would strengthen its compliance systems. "It's become clear that we must follow Japanese regulations or else we will not recover from this issue," said Chairman Osamu Suzuki. "Cheating is cheating." The company said new tests conducted on the most fuel-efficient versions of affected models showed mileage that exceeded levels stated in sales catalogues. Suzuki has said it would continue to sell the affected vehicles. Suzuki specializes in mini-vehicles, which have engines of up to 660cc and get preferential tax treatment under Japanese law. It has roughly a third of the country's minivehicle market. It also has a successful Indian subsidiary, Maruti Suzuki India.